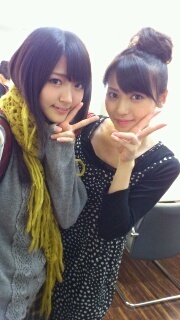 Posted on October 27, 2011, in Blog, Translations and tagged Yajima Maimi. Bookmark the permalink. 3 Comments. Oh, actually, it was Airi showing Maimi a fork that she had broken. 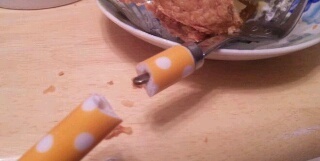 If it was a fork that Maimi broke, the damage probably would’ve been much more severe, haha.